Here you can find out a little bit more about the various Genie brands associated with Genie Web Design & Hosting. 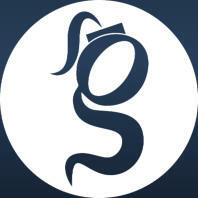 The Genie brand was created to keep everything under one umbrella and help us be recognised across the Internet. 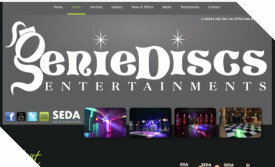 Genie Discs Entertainments was first thought out and created way back in 1997 and only a few years later the very first website was launched in 2000. 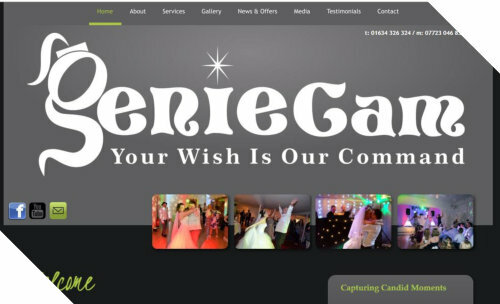 In 2011 the Genie brand was expanded, bringing a new business venture created under the guise of Wedding Disco Genie - created to specifically cater for the Wedding Entertainment Market. 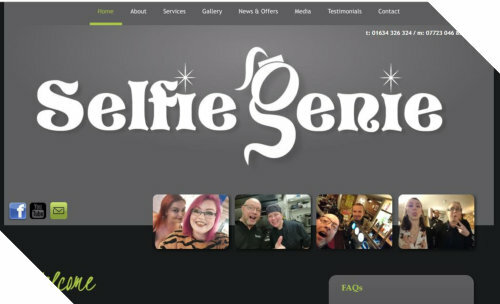 As the Genie brand expanded more within the Entertainment arena, especially Event Photography & Videography, we decided to launch two more websites catering for these new business ventures… The Genie Cam was launched in 2017 and the Selfie Genie was launched in 2019. Professional Wedding DJ & Party Host Glenn Nash specialising in Wedding Events and Entertainment. 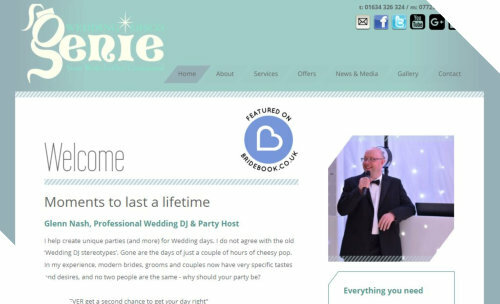 Catering from All Day Wedding Events, Half Day or just the Evening Reception Party - the Wedding Disco Genie has it covered… “…you NEVER get a second chance to get your day right” Moments to last a lifetime. Providing Professional Entertainment throughout the South East, London, Essex, Surrey and Sussex… Specialising in Karaoke parties as well as catering for many other special occasions like Birthdays, Anniversaries, Christenings, Awards Ceremonies, Corporate Events, Christmas Parties and so much more… With over 30 years experience in the Entertainment Industry, no event is too small or too BIG! You’ve been to a Wedding or an Event where there is a Photo Booth present with ‘one’ camera and a long queue! Well, let the Selfie Genie eliminate a queue and people from standing around when they could be having a great time partying… With your friends and families mobile phones, they can capture everything with a Selfie which is then beamed onto our TV slide shows for all to see as well as walking away with a USB full of all your photos. From a great love of Photography and Videography, Genie Cam was created to capture those magic moments and create memories to cherish forever. 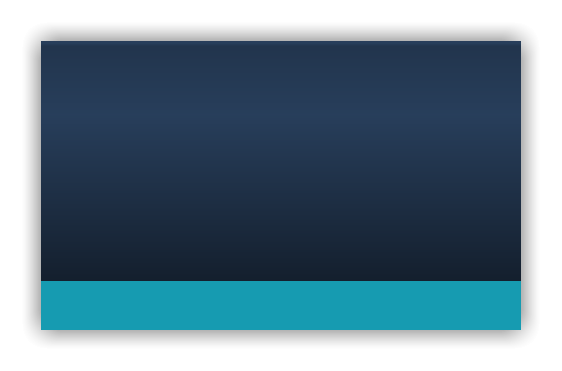 Utilising the latest compact technology, Genie Cam can provide Candid Event Photography as well as its HD GoPro Video services. Whether it is capturing your First Dance, cutting the Wedding Cake or capturing the Party atmosphere, we’ll give you memories to cherish for a lifetime.